Industrial-organizational (I-O) psychology is the scientific study of individual and group behaviors within workplaces. Industrial-organizational psychology plays a critical role in analyzing and improving conditions and programs for employees. 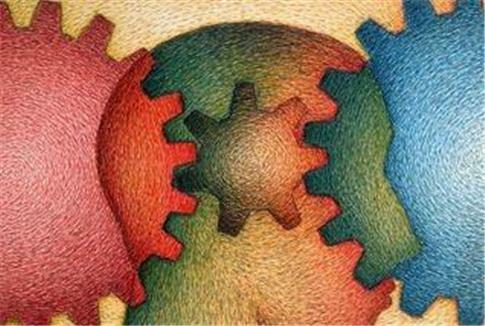 Industrial-organizational psychology studies the psychology of employment and is divided into major areas of interest. For example, job analysis creation and revision is a basic task that industrial organizational psychologists perform. Job analysis forms are normally created by HR professionals. However, an industrial organizational psychologist may be needed for advanced positions with complex duties and skills. Next, personnel recruitment and selection are major areas of interest for both companies and industrial organizational psychologists. This is because selecting the wrong job candidate is a costly, time consuming and even legally risky mistake. Therefore, the industrial-organizational psychology provides HR professionals with comprehensive screening tools, such as ability, personality and knowledge tests, to evaluate job candidates. Then again, companies rely on industrial-organizational psychologists to conduct and manage employee performance appraisals. This is especially important, because performance appraisals are directly linked to employee compensation and promotion decisions. Finally, industrial-organizational psychology also examines leadership and organization approaches that involve power, influence and motivation. For instance, they research to find the most effective leadership qualities within a specific organization. According to the Bureau of Labor Statistics, an industrial-organizational psychologist uses information gleaned from psychological research to solve work related problems and improve the quality of work experiences. Industrial-organizational psychologists generally have a master’s degree and quality hands-on experience. Many organizations also expect industrial-organizational psychologists to have first-hand experience within the field that they study. Therefore, a large financial corporation would expect the industrial-organizational psychologist to have both intense academic training and previous work experience within the financial industry. Industrial-organizational psychologists must continually stay up-to-date with emerging theories and developments. Many of them accomplish this through membership in the Society for Industrial and Organizational Psychology (SIOP). What is the Society for Industrial and Organizational Psychology? The Society for Industrial and Organizational Psychology is the premier organization for industrial- organizational psychologists. They are an official division of the American Psychological Association (APA). The society publishes scientific research, hosts annual conferences and provides members with valuable resources, such as continuing education opportunities. The goal of the society is to promote the field of industrial-organizational psychology through research forums, networking events and increasing public and employment awareness. What are Similar Psychology Fields? Although industrial-organizational psychology primarily studies how people behave in the workplace, there are related psychology disciplines. For example, industrial sociology explores various employment-based phenomenon, such as globalization, outsourcing, technology changes and employee-manager relations. Industrial sociologists study how people experience these trends and interact with each other. Next, environmental sociology studies the relationship between behaviors and environments. These professionals study human-based environmental problems and their subsequent social impacts. They also attempt to creatively resolve these issues at different levels, such as local, social or global. Finally, economic sociology studies the social and economic relationships between employees and their company. Economic sociologists primarily use social network analysis to study this field. Overall, industrial-organizational psychology plays a vital role in assessing, research and improving conditions for workers. As a result, this results in better safety, quality, productivity and employee satisfaction.